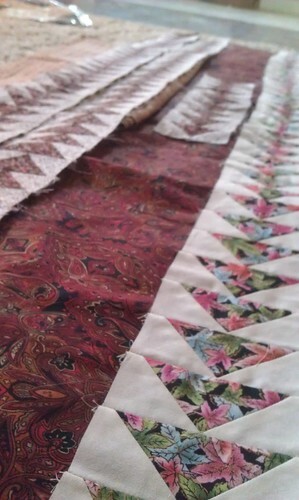 Today is Work In Progress Wednesday at Freshly Pieced. And I have Work In Progress. However, I'm 300+ kms from my Work In Progress and the camera with the all-important pictures. 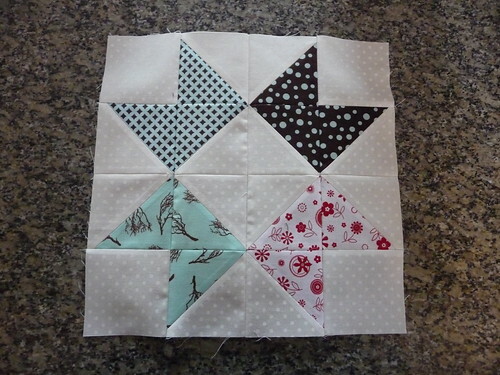 Today is also week 2 in the Solstice Stars Quilt Along at Fresh Lemons Quilts. 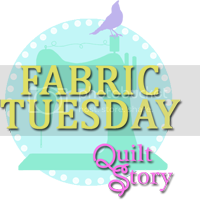 So what's a blogging, quilting girl to do? What could I possibly share with you? Old pictures. And my apologies. I figure in the end, I'll get a nice table runner out of it. I love the fabrics I'm using in this so much. The work in progress I will be pulling out on Friday. 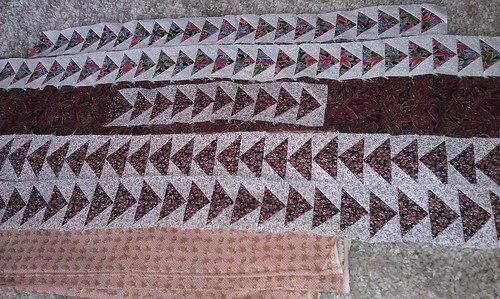 It's a quilt I'm working on with fabric from my Grandmother's stash. Grandma was pretty important to me growing up she taught me to crochet and she made many many quilts. I remember a shopping trip we made to a quilt shop once. She wanted to make a maple leaf quilt so she bought this great fall leaf print fabric. She made the quilt and I'm not sure what happened to it which makes me sad. I would've liked to have had it, but I'm sure she gifted it to someone. The fabric is far from modern like in my solstice stars quilt above, but it means so much to me and I really need to get back to work on it. Are all cut out and that's as far as I got. 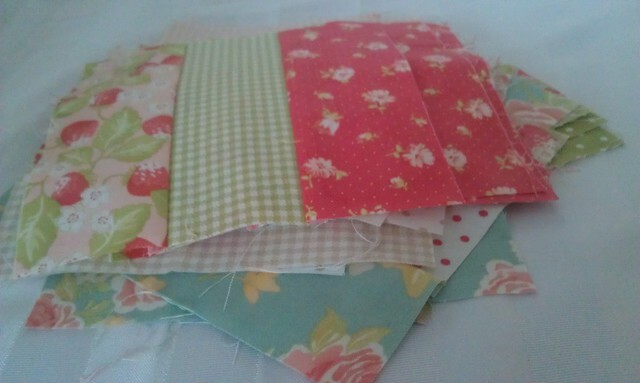 If they're going to become a baby quilt for February, I'd really better get moving on that, huh? I'm just not feeling the love for the roman square at this moment. I'm tempted to chop them up even further (yikes) and go postage stamp on it. Or something. Maybe add sashing for a colour pop? I just really don't care for what I've got there. Great projects! I'm doing the solstice star series too!! What fun! Wow you have a lot going on, hope you manage to get lots done on Friday!